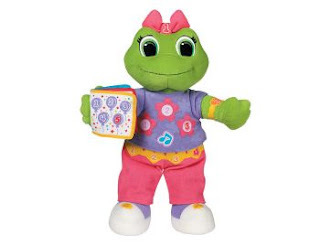 You can get Learning Frog Lily for only $9.99 right now through LeapFrog. If you use the code MERRY10, you can even get an additional 10% off! You will have to pay shipping, but you will still end up ahead in the end. You can actually save 30% storewide with the code MERRY10 (10% off of items already marked down 25-75% off). This offer is good through today (12/13/) only.